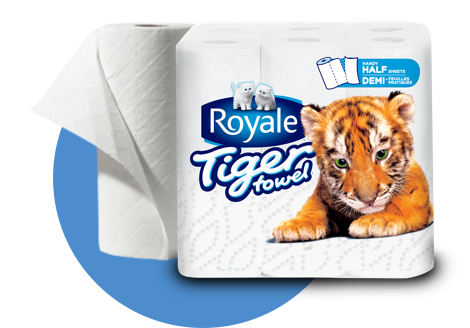 ROYALE® Tiger Towel® is on sale and you want to stock up, but you have no shelf space to store it all. 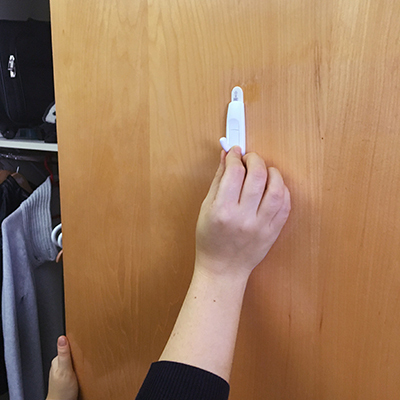 Don’t miss out on those savings – get creative with this storage solution. 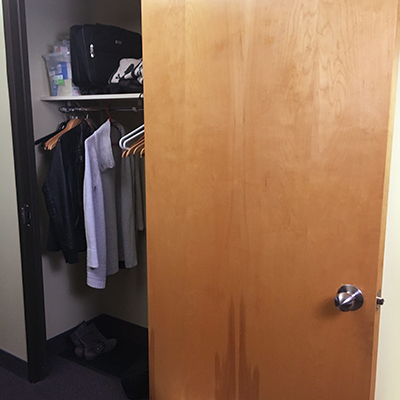 Pick a door or a section of wall with at least 12″ of clearance around it. 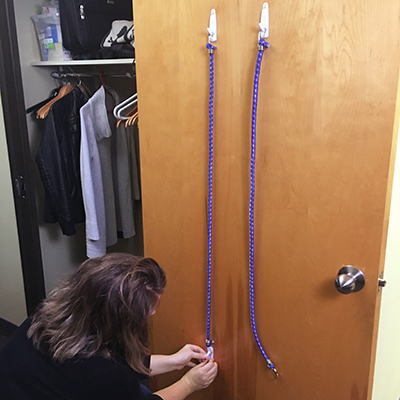 Take the hooks and place them 8″ apart horizontally and a little longer than your bungee cords vertically – 2 on top and 2 on bottom. 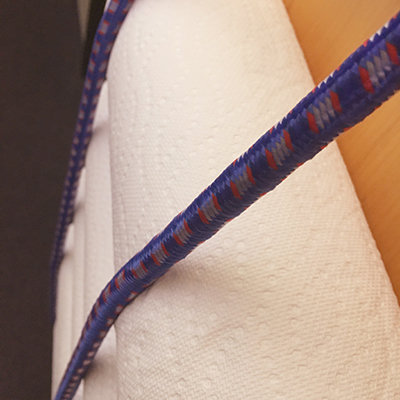 Your bungee cords should only stretch slightly. This will help them to stay on the hooks but will avoid crushing your rolls. 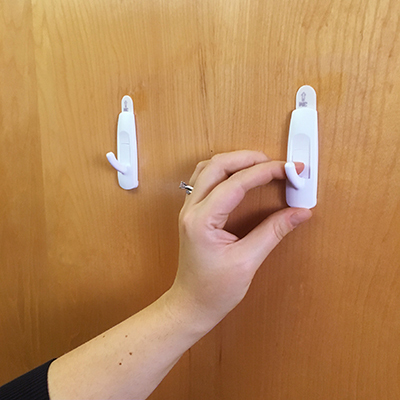 Tip: Turn your bottom hooks downward to keep the bungee cord in place. 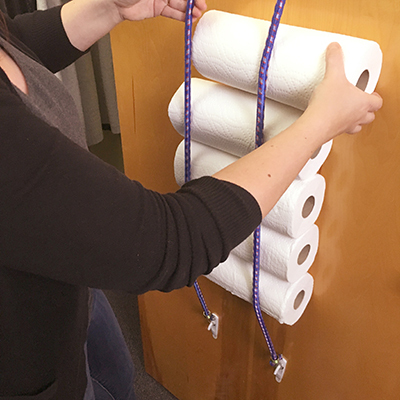 Once the adhesive has set, stretch your bungee cords from top to bottom, latching them onto the hooks. 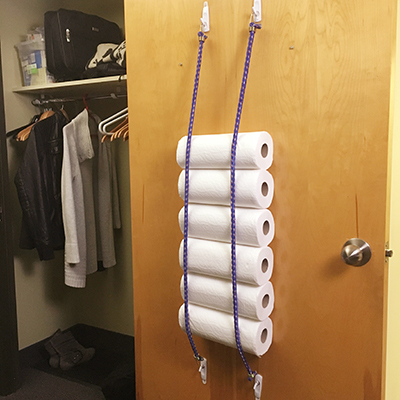 Place your rolls of Tiger Towel® between the bungee cord and wall/door to store them. 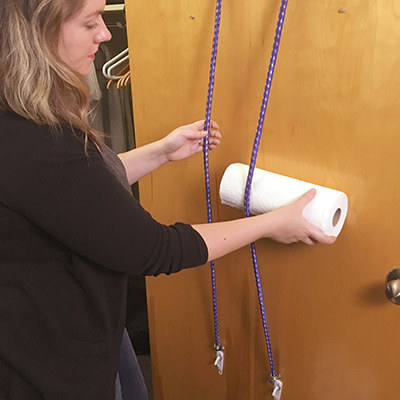 You can also use this storage hack for packages of ROYALE® Tiger Towel®, ROYALE® bathroom tissue and boxes of ROYALE® facial tissue. 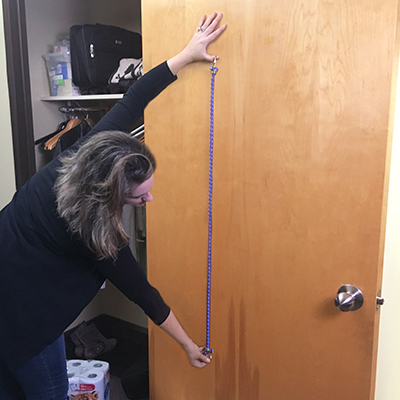 Just adjust the distances between your hooks and bungee cords slightly to accommodate the pack sizes within your storage space.